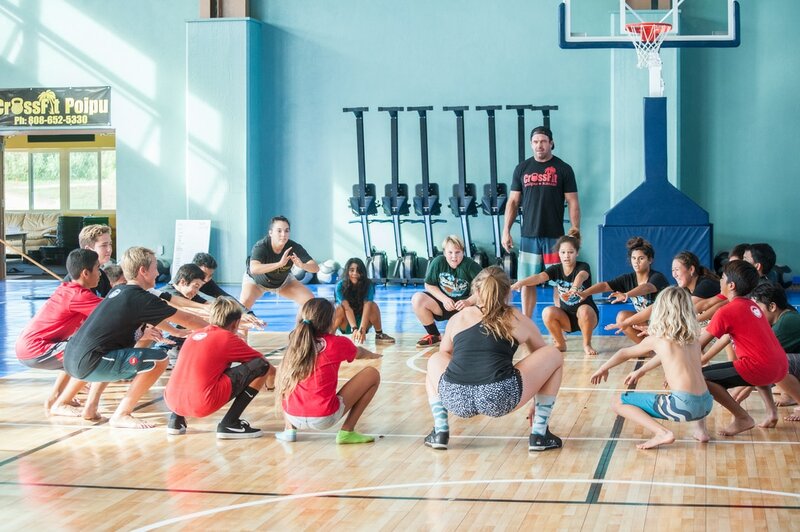 Southside Sports Center is a new vital, 14,000 ft sports complex for serving Kauai's south side communities, especially the youth. Read more about us and why it is not just a game! Check out the Schedule page for the many fitness classes and open gym times! As you can see in the schedule, SSC has Open Play Gym Time throughout the week. Open Gym play is a suggested donation for adults, of around $2-$3 and is greatly appreciated helping us up stay open... especially for the youth to come for free throughout the week. See League page for details on our competitive level and recreation level leagues. Mon, Wed, & Sat 8:30-11am -two courts outdoors & suggested $3 donation. Open Competition Super League Season April-Sept. Get your team together. More BB info go to "Leagues" page. Hey Coaches... contact us about how we can help you facilitate your next clinic. Lunch Time Basketball Tues/Thurs 11-1.